Primitive neuroectodermal tumours (PNETs) constitute a family of neoplasms of presumed neuroectodermal origin that predominantly present as bone or soft-tissue masses in adolescents and young adults. PNET arising in the kidney is rare. To describe the radiological features in three patients with primary renal PNET. 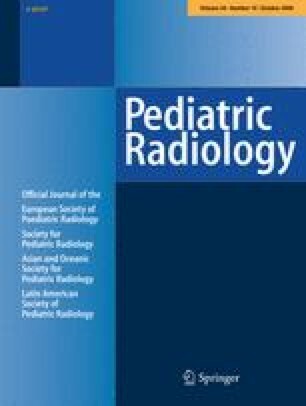 The radiological features of primary renal PNET in three adolescent patients (age 10, 14 and 16 years) are described. Tumour thrombus extending into the renal vein and inferior vena cava was noted in all three patients. In addition, further tumour extension into the atrium was seen in two patients with extension into a pulmonary artery in one patient. Neural foraminal and intraspinal extension close to the origin of the tumour was identified in two patients. Liver, bone and lung metastases were identified. While rare, one should consider the diagnosis of PNET when encountering a renal mass with aggressive features such as inferior vena cava tumour thrombus, direct intraspinal invasion and distant metastasis. 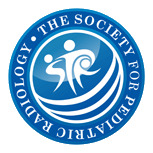 The work was supported in part by a GE-AUR Research Award, a Society of Thoracic Radiology Research Grant, and a Society of Pediatric Radiology Research Fellow Grant (E.Y.L).